If you are new to the restaurant business, don’t overlook the aspect of hiring and managing staff. As an owner, you’re in charge of all the HR functions of the restaurant. This task includes all the hiring and firing of staff members, plus everything in between. 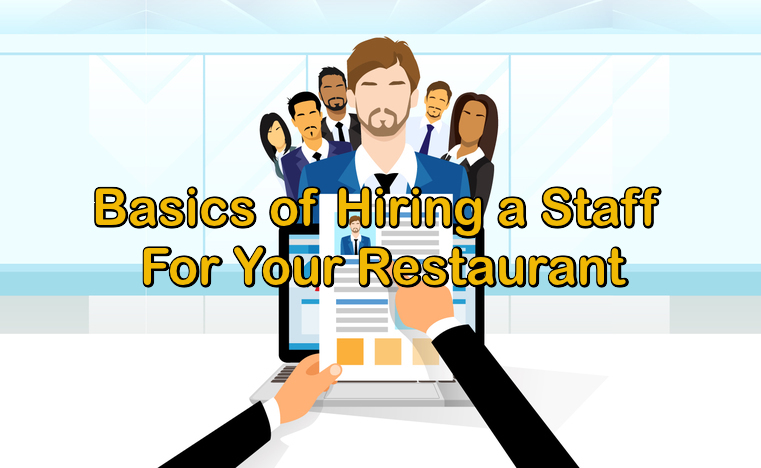 Therefore, it’s very important to hire the right kind of staff for your restaurant. All restaurant positions, such as waitstaff, bartenders, and kitchen staff, take a certain skill set and talent to complete these jobs well. Don’t take the hiring process lightly. Take adequate time to find the best people to fill vacant positions for your restaurant. It will help establish your new restaurant business and assure continued success for years to come. There are many vacant positions to hire for when you decide on opening a new restaurant. Depending on the position and skill set necessary to complete a job, some positions require previous restaurant experience, while others are perfect for a fresher. The concept of your restaurant will help guide you in what type of chef or cook to hire. Most upscale restaurant dining concepts require experienced chefs and cooks. Restaurant cooks and chefs come with a wide variety of experiences. Depending on the size of your restaurant and layout of the restaurant kitchen, you may need only 2 or 3 chefs/cooks, or you may need 10 to 15! You need to find out the difference between a chef and a cook, and a sous chef and an executive chef. An employee manual is obviously a good idea for any restaurant or other business. An employee manual outlines detailed job descriptions, as well as the employer’s expectations for job performance, safety procedures, and all other pertinent information. An employee manual helps new restaurant employees to start out on the right foot, and minimizes any confusion and misunderstandings later on. Most employers trust their employees; no one believes that their workers will steal from them. But the reality is, no matter how well you think you know your workers, there is always a possibility of workplace theft. Whether it’s theft in the form of free food for friends, free desserts, or stolen alcohol, employee theft will cost your restaurants lots of money. Install a POE security camera system in your restaurant to minimize the chances of employee theft before it happens. Read more: Why use POE security camera system in your restaurant? Hiring the right people for your restaurant and making your expectations clear from the beginning will help your new staff come together and work as a team. Always remember: Your restaurant is only as good as the individuals who are working in it.